You've been pumping for half an hour. Hoping to get a handful amount of milk to feed your hungry baby. Your milk does not even wet the base of your bottle. You wish you could be that Instagram mom, who was able to get 2 full bottles of milk in just 15 minutes. Could it be the breast pump? You start imagining getting a new breast pump.And magically your milk starts flowing faster and faster. And your bottle gets full in no time. And you'll have more time with your baby rather than the pump. As you rock and rock your baby to sleep, you start googling on breast pump recommendation. And you stumble on your dream breast pump. And you're asking yourself: will this breast pump change my life? But that's how breast pumps are perceived by you and other breastfeeding moms nowadays. You place such a huge expectation onto a breast pump. Because breast pumps play such an important role in the life of a breastfeeding mom. Especially if you can't feed your baby directly, be it due to health issue, or due to constant separation with your baby. You want to reach your breastfeeding goal, and you need a trusted friend. No doubt, every time I received questions about how to buy a breast pump, I could sense how desperate the mom in the other end. And I came to realize, there are a lot more moms out there who need helps in buying their first, or perhaps, the second, or next breast pump. So I thought, would it be nice if I summarize all of the questions, and turn it into a breast pump buying guide so that others can benefit from it? And that's how this post was born! 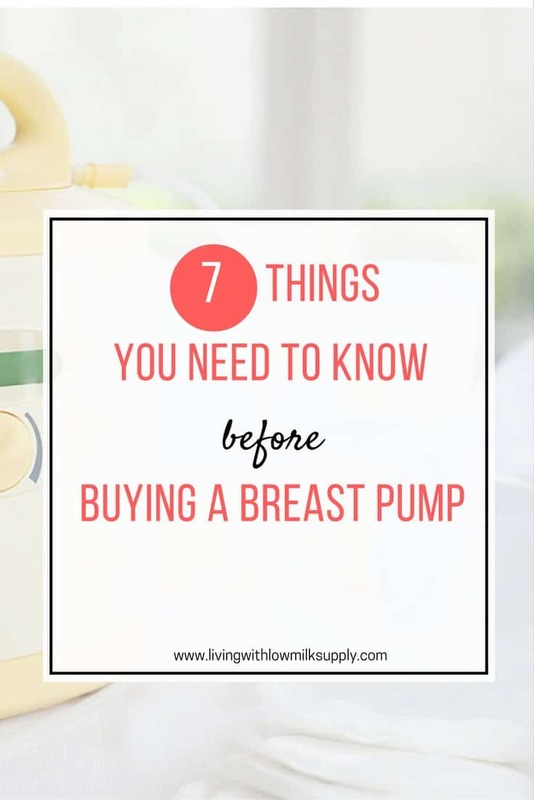 Today, I would like to share with you 7 things you need to know before buying your breast pump. 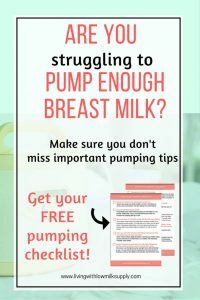 I truly hope these tips will give you a better idea of things to look for when buying your breast pump. Not all moms need the most expensive breast pump. Not all moms need a hospital-grade breast pump. There are various breast pump models out there because there's a need. A manual breast pump is designed to meet the need of breastfeeding mom who just pump occasionally to relieve engorgement. Though I should also say that some manual pumps are powerful enough to drain breast thoroughly, like this little pump here. A single electric pump is designed for breastfeeding moms who need to leave the baby occasionally, say for running errands outside home. A double electric pump is aimed towards moms who are in constant separation with their babies, such as those working outside home or returning to study. And the hospital-grade pump is for those needing to establish and build their milk supply. In some cases, the baby has difficulty to latch (due to very young age, e.g. born premature), health problem, and so on. So, If you are latching your baby most of the time, and need a breast pump to give yourself a little self for a ladies night out or a weekend getaway with your spouse, you won't need to spend a fortune to buy Medela Freestyle. In contrary, if you are working full time outside home and needs to travel a lot, then yes, go ahead and buy your Freestyle. No, I'm not saying that Freestyle is only designed for working moms, and if you work at home (hey, all moms work at home, right), you are not entitled to buy a Freestyle. It's just... don't buy it just because other moms buy it while you are on limited budget. Not all breast pumps are created equal. The way they work also differs. Let me just give you a simple example, let-down mode or massage mode. Or in essence, how the breast pump behaves in a certain mode to help you initiating let-downs, by just pushing a single button. Does all breast pumps have this? 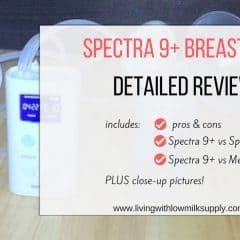 Most of Medela and Spectra breast pumps have let-down mode (Spectra calls it massage mode), and their let-down function can be adjusted as well (so if you need a tad higher or lower suction, you are covered). Ameda and Hygiea, on the other hand, do not have this feature. Instead, they rely on their ability to adjust speed cycle and suction strength separately, so you can initiate let-down by turning to high-speed low-suction. In reality, it falls back to individual preferences. I personally thought Ameda would be powerful due to its separate speed-suction setting, but after trying, the maximum speed is just too slow for me. Medela works better, and Spectra works best. Unfortunately, not all moms agree with me. I had a mom having better luck with Medela PISA rather than Spectra. Really, personal preferences can differ a lot here. 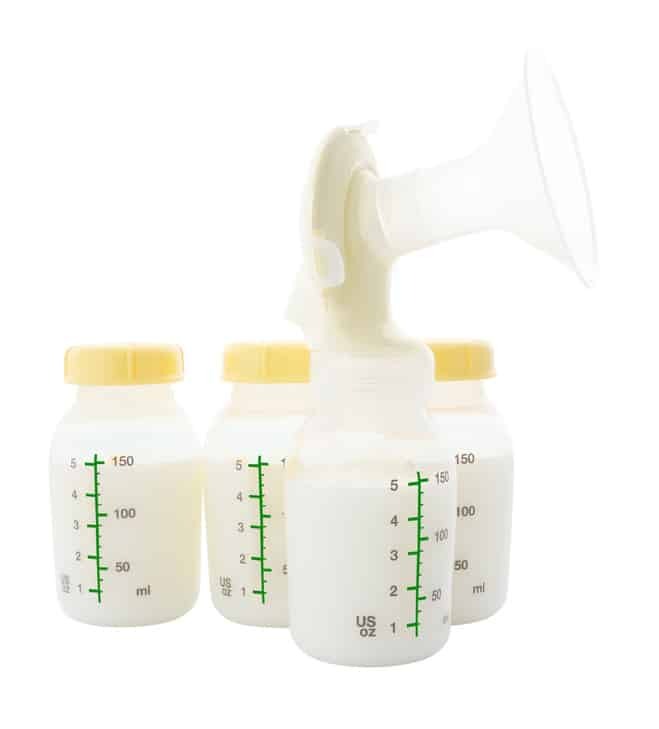 Click here to lea﻿﻿rn more about breast pumps from various brands. In some countries, a personal-grade breast pump is covered by insurance. In the US, for example, the Affordable Care Act requires the insurers to cover preventive health services, specifically breastfeeding supports. So before you decided to buy a breast pump, check if your insurance covers it. Learn more about how to get your breast pump through insurance here. Sometimes, a doctor prescription is helpful to get your insurer convinced that you are entitled to a free breast pump. Secondly, some insurance covers limited model of breast pumps. Say, some only cover manual or single electric breast pump. If this is the case, go back to evaluate your need first. Do you think manual or single electric good enough for you? (which may be the case if you are not leaving your baby regularly). Or, do you need a more powerful breast pump (a double electric, because you need to leave your baby while you are at work)? If you do, then it may be the time to buy a good-quality breast pump. Yeah..., you may feel like, you need to spend $100-$200 to buy a good breast pump and you are missing out the opportunity of getting a free breast pump, but trust me, it will be worth it. You may feel the pinch at first, but as you navigate through your pumping journey, you will be grateful because you are choosing a good quality breast pump. Let me just ask you, how many moms do you know going through 2, 3, or even more breast pumps with one baby, only to find one that suits her the most. 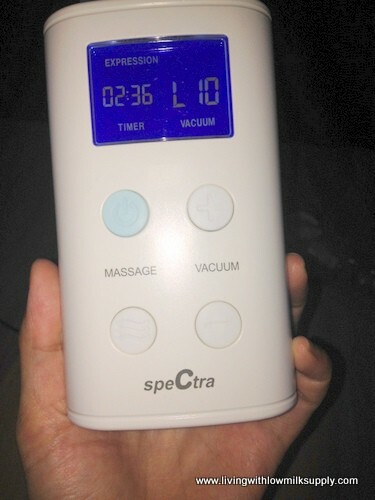 I have a friend who has at least 4 breast pumps before finally settling down with Spectra S1 (her most favorite). The point here is, don't fall into the trap of getting a poor quality breast pump (because you may end up with more breast pumps because you are not satisfied with its performance). If you are going to pump regularly, most likely you will need some accessories to make pumping easier and less stressful. So before you buy your breast pump, make sure they have accessories that you may need and you can find them easily. Is the breast pump offering a handful sizes of breast shields or limited ones? Does it have a built-in battery such that you won't need power outlet while pumping? Are you going to pump in the car and need a car adapter? Is it compatible with many brands (so you have a lot of choices)? In general, Medela and Ameda breast pumps have the abundance of accessories and are easily found in retail stores. On the other hand, other brands, such as Spectra, does not have a lot of accessories of their own. However, Maymom, a brand producing breast pump accessories, have come up with a lot of breast pump accessories. 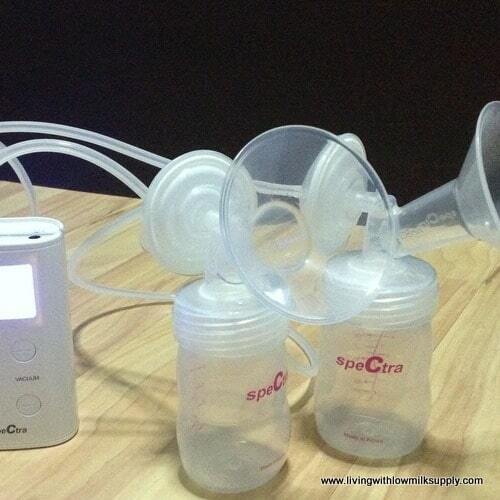 For example, it has an adaptor that allows Spectra breast pump to be connected to Medela breast shield. It also sells a universal car adapter that can be used for several breast pumps (while the original brand does not have it). That makes this originally limited breast pumps become pretty versatile. 5. Is it safe to buy used breast pump? Should you buy a second-hand breast pump? There are a few factors you want to consider. First, hygiene and possible contamination. Is the breast pump a closed-system or an open-system? An open-system breast pump (such as Medela PISA or Swing) may have milk flowing up to the tubings and back to the motor, and that may possibly lead to mold build up inside (note: I'm not saying all PISA or Swing have mold, but, there's a possibility), and I recommend you to stay away from buying a second-hand open-system breast pump like this. And then, even if you buy a closed-system breast pump, you need to buy a new set of breast milk collection kit (the breast shields, valves, and possibly tubings - depending on the pump). Secondly, what about the performance? The seller may say its condition is 9 out of 10 or 7 out of 10, but do you know how true is that, and whether you still get the remaining warranty? Is the suction still strong enough? Is the motor still working well? 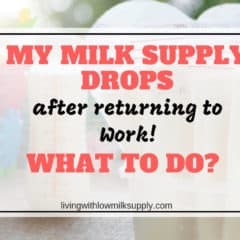 Are you willing to risk your milk supply (especially if you rely on the pump to drain your breast every day)? My recommendation is: if you have the budget to spend, then please, buy a new breast pump. You'll have a more peaceful mind, knowing that your pump is in its best condition. And if you really face problems with the breast pump, you can return it or send it for servicing because you still have the warranty up front. Pumping needs practice, we all know that. And even though you've been pumping with a particular breast pump before, when you switch to a new breast pump, you need to re-learn again. Their setting may be different. Yeah, perhaps both have let-down and expression modes. But which level you should use may not be the same. Your comfort level may also be different. This is something to take note, especially if you are not satisfied with your current breast pump and wants to buy a new one. When you switch to a new breast pump, don't expect it to give you miracles in just one pumping session. Don't judge its performance in just the first day. You may find totally different setting / or totally different feeling when using a new breast pump. And that's why, take your time to re-learn the new settings, adjust it to your preference to give you maximum results. As I said, don't expect miracle right away. I've been getting questions like, "did your pumped milk increase right away with this breast pump?" and so on. When I first used an electric breast pump, I thought by just turning on the pump and let it run for a good number of minutes, I am done and I will be set for success. Turns out to be wrong. First point: are you already draining your breast frequent enough? How's your current feeding frequency (talk about direct latches here), does your baby already getting enough milk (here's the sign to observe). 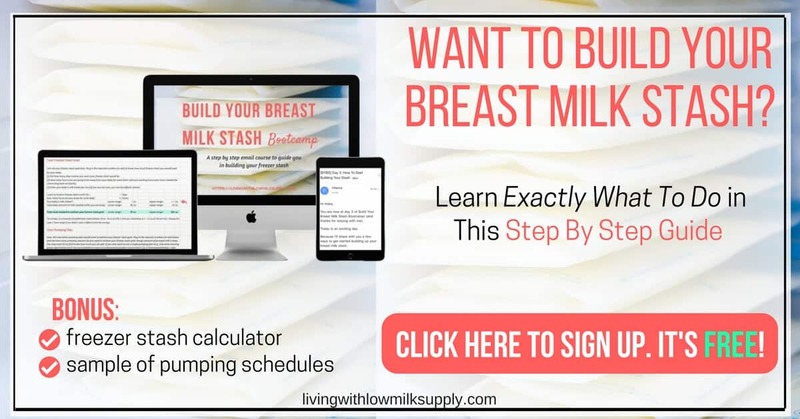 It would be a different story if you are starting from adequate milk supply and wanting to pump some extra for building stash and if you are starting from not-enough milk and want to increase your supply to meet your baby's demand. In the first case, just one or two pumping per day is all you need to do, while in the second case you may need to diligently squeeze in pumping session every few hours or right after feeding, and pump beyond the last milk drop. Secondly, you should choose a breast pump that can effectively remove milk from your breast (here's my favorite if you need recommendation). BUT, having a good quality breast pump is not enough. Thirdly, you need to know how to use your breast pump properly (that's why point no 6) and help your breast pump to get most of the milk by doing hands-on pumping, massage, squeeze, repeat. I am a huge believer that your breast pump and you are partners. You can not rely on your pump alone to guarantee your breast is drained properly. So you need to 'help' each other to protect your milk supply, your pump doing the automatic sucking, and your hand doing the hands-on pumping. Only then, you will be able to maintain a healthy milk supply despite being away from your baby. You and your breast pump, your trusted friend. Helping hand in hand to reach your breastfeeding goal. I hope this post answers your burning question of how to buy a breast pump, what to look for, and adjust your expectation for your pump. Do I miss out anything? Do you agree with my last three statements? Give me a shout in the comment. I had some of the same impressions and reservations that you mentioned in your introduction. It is comforting to know that someone understands the predicament. Now, it is much less intimidating to face the decision of what breast pump to buy. Hi Helen, thank you for saying that. Turns out, I’m not the only one feeling that way, and I’m glad you can relate! Thanks for your suggestion to look for a breast pump that suits your needs. I didn’t know that many mothers may need different types. My sister just had her first child, and she is considering buying a breast pump. I hope the article helps your sister to decide. There’re so many breast pumps out there, and yeah, usually what fits one may not fit the other. So, it certainly needs some consideration before deciding which one to get.